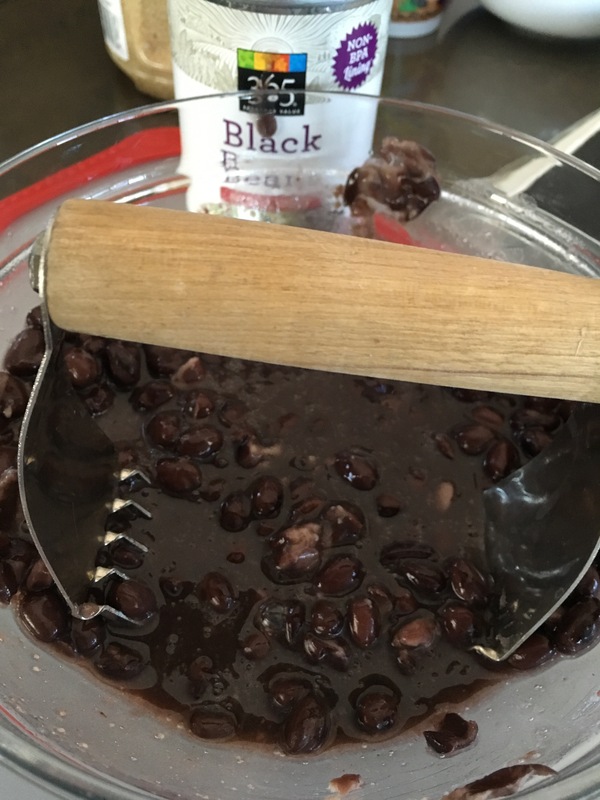 Black Bean Ole! Soup – Es Muy Rapido – Odds & Hens : Ramblings. Creations. I have been making this soup since my resident assistant days in college. The lady I babysat for gave me several of her favorite recipes and this was among them. Don’t be turned off by all the canned items in the ingredient list. This just makes it pantry friendly but I use fresh tomatoes (or mix of canned and fresh), onions, garlic and on occasion even fresh corn. Homemade chicken stock is also tasty but not essential, vegetable stock would work just fine too for a vegetarian version. Feel free to get adventurous with the toppings. I love fresh avocado and sour cream (or plain yogurt) but shredded chicken (leftovers!) or pork, salsa, pepitas, cheese (cojita, cheddar, Monterey jack) etc, are all delightful. This soup recipe is easily doubled and could also be frozen. Serve alone, or with tortilla chips or rice. 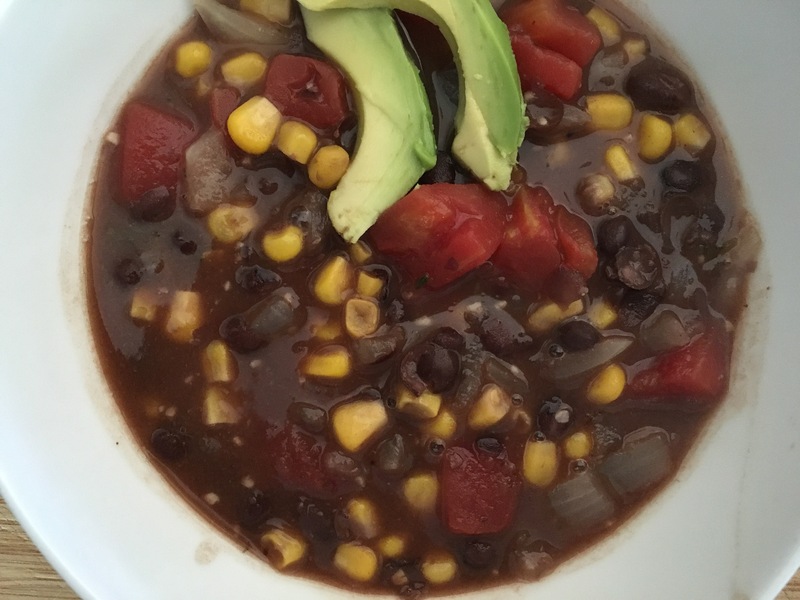 Adapted from Mills and Ross’s Desperation Dinner speedy black bean soup. This recipe truly is speedy but also simple, flexible and tasty. Give it more time and the flavors mingle even more. Using large soup pot or Dutch Oven, heat the olive oil and add the chopped onion. Stirring frequently to brown the onions. After a few minutes with medium heat, add the garlic and keep browning. 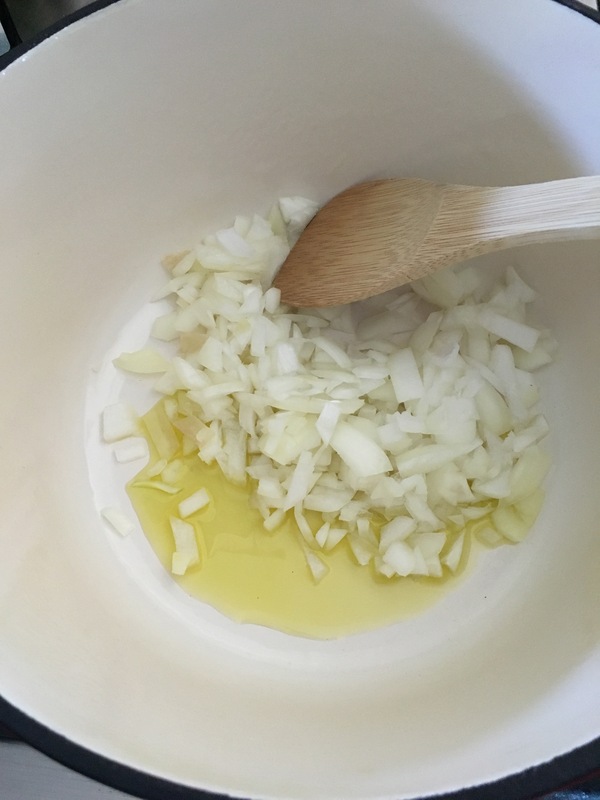 While the onions and garlic are cooking, open one can of beans, pour into a small bowl and mash the beans to make a lumpy paste. I like to use my pastry cutter but you can use a spoon or fork or immersion blender (for like two seconds!). Drain the corn. You do not need the liquid for the recipe. When onions and garlic are nice and cooked (browned some and a bit translucent), add in the chicken stock, stirring to get any browned bits up. Raise the heat some and bring to a boil. Open the second can of bean and pour it in, beans and liquid, add the mashed beans as well. Stir stir! Add the corn and tomatoes. Stir. Add the cumin, chili powder, thyme, bay leaves, vinegar and oregano. I use fresh herbs sometimes too. Stir stir! Turn down heat and let the soup simmer down for a while, maybe 10 minutes, or more if dinner isn’t ready yet. 🙂 Stir it every now and then. When closer to serving time, taste test it. 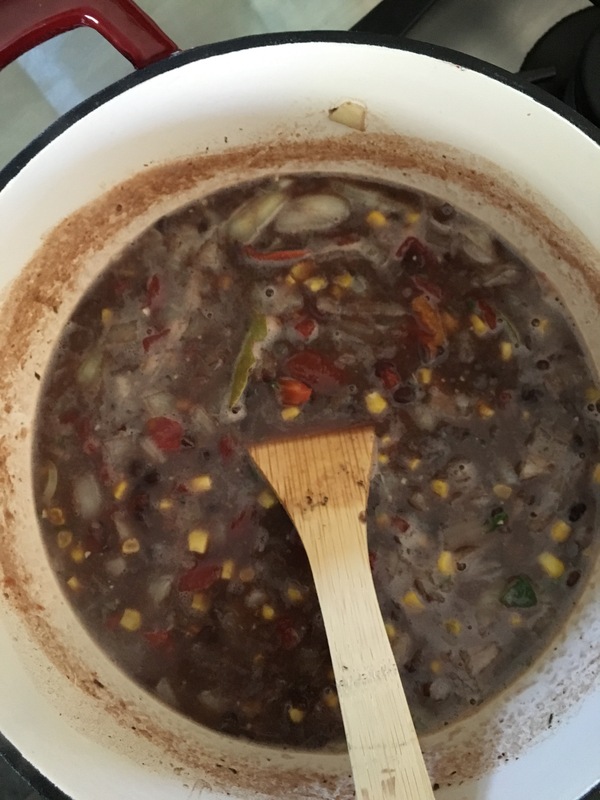 Add more salt if it needs it (consider if your canned items had salt, your broth etc), add some fresh ground black pepper. Add all the toppings you desire, or enjoy as is.